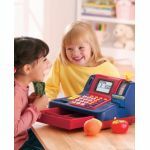 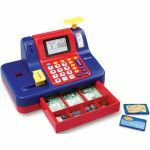 Talking cash register brings money math to life! Students can practice coin identification, addition, subtraction, and place value as they play 4 featured games that increase in difficulty as players advance. 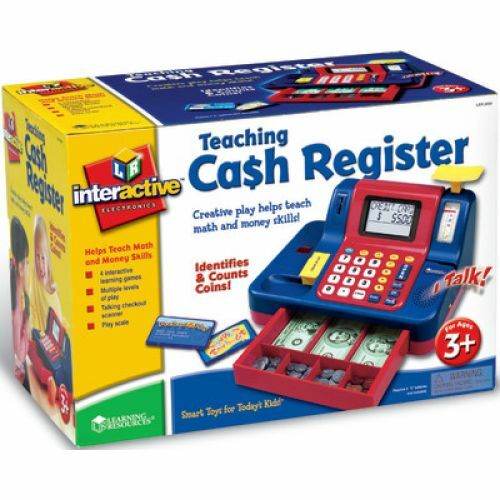 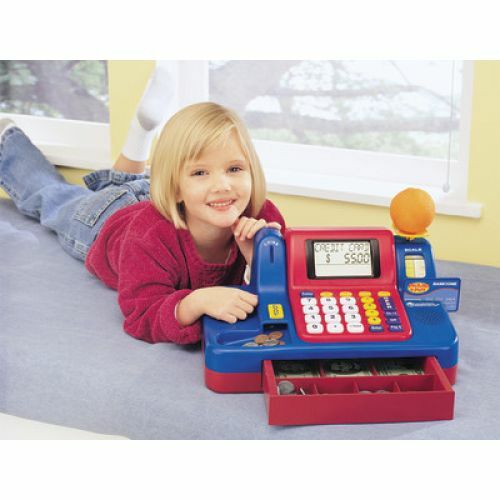 Also great for imaginative play and learning basic calculator skills. 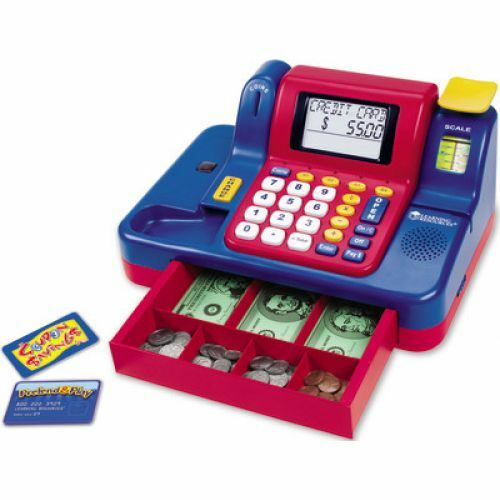 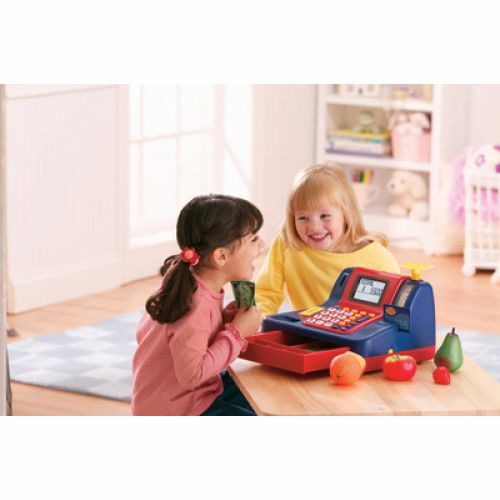 Cash register features a built in scanner, scale and coin slot. 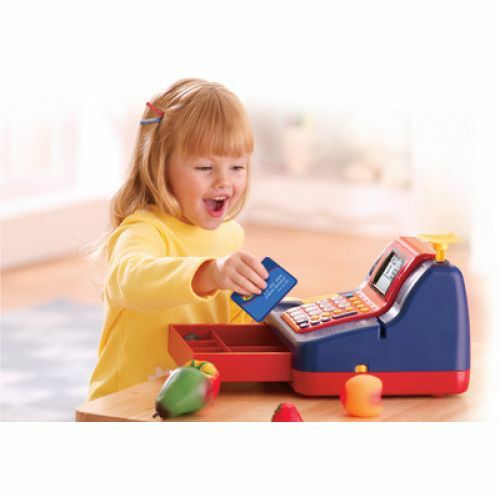 Transactions are rewarded with lights, sounds and voice messages (volume control included).